Serving Crystal and the surrounding cities of the Twin Cities, MN (Minnesota) – Dr. Kevan Cahow and Dr. George Rizkalla are your family and cosmetic dentists offering quality comprehensive dentistry for children, teens, adults, and seniors. Your smile is an important part of your health, appearance, and self-confidence. At Alpine Dental, we are committed to helping you achieve and maintain exceptional oral health for a lifetime. We have been treating patients in the Twin Cities since 1983. The doctors and their exceptional staff have a genuine connection to the community and the patients they serve. Dedicated to healthy and beautiful smiles, Dr. Kevan Cahow and Dr. George Rizkalla provide a wide range of dental services. From preventative care (teeth cleaning) to advanced periodontal treatment, cosmetic dentistry and restorative care, we are able to meet the needs of every member in your family. Procedures include teeth whitening, porcelain veneers, bonding, dental implants, crowns, Cerec, bridges, fillings, oral surgery, root canals, partials and dentures. 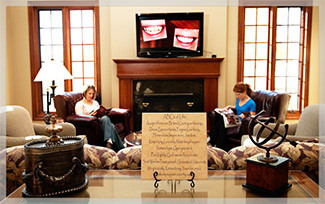 With gentle and individualized care, Alpine Dental always puts your comfort and happiness first! Welcoming, friendly, and patient-focused – We look forward to creating a positive dental experience for you and your family. Contact our practice at (763) 536-1118 to schedule an appointment and find out what so many people in the Twin Cities already know about us – Our commitment to serving you is more than our goal, it’s our promise. Alpine Dental – dental care at its peak.